Posted on January 31, 2017 Author KibetCategories Free Travel Kindle Books, TravelersLeave a comment on Kindle Travel Deals for Tuesday! Posted on January 31, 2017 Author KibetCategories Biographies, Free Travel Kindle Books, memoir, TravelersLeave a comment on Kindle Travel Deals for Monday! *Stratford Ontario and the Stratford Festival 2017: An Unofficial Guide to Canada’s Hottest Tourist Destination for Food and Theater Lovers by Kelly Monaghan, Sally Scanlon. Price: Free. Genre: Cookbooks, Food & Wine, Regional & International, Canadian, Travel, Canada, Provinces, Ontario. Rated: 5 stars on 5 Reviews. 123 Pages. ASIN: B01NH122H4. *Spanish: The Effective Beginners Guide for Spanish: Learn Spanish Today by Lindquist Publishing. Price: Free. Genre: Travel, Reference, Phrasebooks. Rated: 4.5 stars on 39 Reviews. 199 Pages. ASIN: B01MDRIQXZ. Posted on January 28, 2017 January 28, 2017 Author KibetCategories Free Travel Kindle BooksLeave a comment on Kindle Travel Deals for Saturday! Hermitage Amsterdam: Highlights from the Hermitage Museum St Petersburg (Amsterdam Museum EBooks Book 4) by Marko Kassenaar. Price: Free. Genre: Travel, Europe, Netherlands, Amsterdam. Rated: 4.3 stars on 5 Reviews. 33 Pages. ASIN: B00E6R6SKO. Posted on January 27, 2017 Author KibetCategories Free Travel Kindle BooksLeave a comment on Kindle Travel Deals for Friday! *The Chronicles of the Schooner Lusty I: A Sail Around the World in Search of Tropical Isles and the Green Flash by Mike Williams. Price: Free. Genre: Biographies & Memoirs, Travelers & Explorers. Rated: 4.5 stars on 11 Reviews. 410 Pages. ASIN: B01ITR2ASA. *London – A Visitor’s Guide by Craig Cross. Price: Free. Genre: Travel, Europe, Great Britain, England, London. Rated: 4.6 stars on 38 Reviews. 514 Pages. ASIN: B00JUXW2E0. Posted on January 27, 2017 Author KibetCategories Biographies, Free Travel Kindle Books, memoir, TravelersLeave a comment on Kindle Travel Deals for Thursday! *Living in Italy: The Real Deal – How to Survive the Good Life (an expat guide) by Stef Smulders. Price: Free. Genre: Biographies & Memoirs, Travel, Europe, Italy, Tuscany. Rated: 4.6 stars on 45 Reviews. 252 Pages. ASIN: B01N7OY6DM. Vietnam: A Concise History, Language, Culture, Cuisine, Transport, & Travel Guide (Be a Knowledgeable South East Asia Explorer Book 1) by Wily World Travelers. Price: Free. Genre: Travel, Asia, Southeast. Rated: 4.6 stars on 9 Reviews. 41 Pages. ASIN: B01NASS7K4. Thailand: Thailand Travel Guide: The 30 Best Tips For Your Trip To Thailand – The Places You Have To See (Thailand, Bangkok, Chiang Mai, Koh Phangan, Phuket Book 1) by Traveling The World. Price: Free. Genre: Travel, Specialty Travel, Budget Travel. Rated: 4.6 stars on 9 Reviews. 72 Pages. ASIN: B01N34FQF8. Posted on January 25, 2017 Author KibetCategories Biographies, Budget, Free Travel Kindle Books, history, memoirLeave a comment on Kindle Travel Deals for Wednesday! How to be a Successful IT Professional in the USA: A Checklist and Easy Guide to Success by Chandraish Sinha. Price: Free. Genre: Travel, United States, Computers & Technology. Rated: 4.6 stars on 5 Reviews. 86 Pages. ASIN: B01MTQKFVH. Posted on January 23, 2017 Author KibetCategories Free Travel Kindle BooksLeave a comment on Kindle Travel Deals for Monday! *Thailand: Where To Go, What To See – A Thailand Travel Guide (Thailand, Bangkok, Phuket, Ko Samui, Nonthaburi, Pak Kret, Hat Yai Book 1) by Worldwide Travellers. Price: Free. Genre: Travel, Asia, Southeast. Rated: 5 stars on 5 Reviews. 46 Pages. ASIN: B01NATS19X. *Wine Making: Wine Making guide to growing grapes and making your own wine (wine,wine making,wine book,folly,wine bible,cheese and wine,wine glasses) by Kevin Richards Jr.. Price: Free. Genre: Travel, Specialty Travel, Budget Travel. Rated: 4.5 stars on 28 Reviews. 36 Pages. ASIN: B01LYQE2TL. Posted on January 22, 2017 Author KibetCategories Budget, Free Travel Kindle Books, TravelersLeave a comment on Kindle Travel Deals for Sunday! 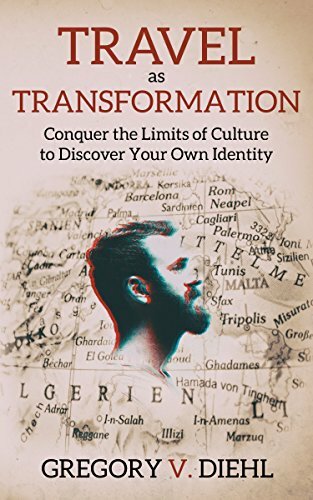 **(Free For Kindle Unlimited) Travel As Transformation: Conquer the Limits of Culture to Discover Your Own Identity (Deal, Not Free) by Gregory Diehl. Price: $4.99. Genre: Nonfiction Book Deal, Sponsor, Travel as Transformation, Seminal Travel Bestseller, Travel, Transformation. Rated: 4.6 stars on 63 Reviews. 129 pages. ASIN: B01M03V3BU. *Peru: the Beautiful, the Mystical and the Ugly (Deal, Not Free) by Halle McQueen. Price: $3.99. Genre: Women’s Memoirs Book Deal, Sponsor, Travelers & Explorers. Rated: 5 stars on 1 Reviews. 121 pages. ASIN: B01LZFQMQI. *ALAPINAH: The Quest for the Secret to Health by Amnon Josting. Price: Free. Genre: Nonfiction, Sponsor, Travel Biographies, Alternative Therapies, Mental & Spiritual Healing, Personal Transformation, Solo Travel. Rated: 4.4 stars on 6 Reviews. 219 pages. ASIN: B01MS4POEK. *Himalayas: Through Heaven and Hell in the Hills: A journey along the treacherous Manali – Leh highway by Praveen Venkiteswara Annu. Price: Free. Genre: Biographies & Memoirs, Travelers & Explorers. Rated: 4.5 stars on 13 Reviews. 59 Pages. ASIN: B00Q003SPI. Posted on January 22, 2017 Author KibetCategories Biographies, Free Travel Kindle Books, memoir, TravelersLeave a comment on Kindle Travel Deals for Saturday! *Understanding Ukraine: An Expat’s Guide to Kiev and Culture by Bachelor Travels. Price: Free. Genre: Travel, Europe, Belarus & Ukraine, Kiev. Rated: 4.5 stars on 11 Reviews. 82 Pages. ASIN: B01M7XB9VC. How to avoid Terrorism by Peter Klessa Ramazani. Price: Free. Genre: Travel. Rated: 4.8 stars on 6 Reviews. 35 Pages. ASIN: B01N4DX2ZR. Posted on January 21, 2017 Author KibetCategories Biographies, Free Travel Kindle Books, memoir, TravelersLeave a comment on 5 Great Free Kindle Travel Books for Friday!